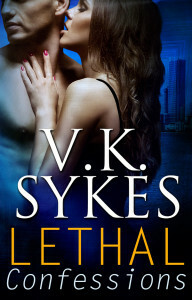 LETHAL CONFESSIONS – Release Day Party Planning!! RSVP: You can register for the event here. Visiting authors: Pamela Clare, Margo Maguire, Mia Marlowe, Juliana Stone, Kris Kennedy, Bella Love, Norah Wilson, Erin Kellison, Laurie London, Monica Burns, Lila DiPasqua, Jennifer Apodaca, and more! Giveaways: An ARC of Pamela Clare’s upcoming I-Team novel, Striking Distance, an ARC of Mia Marlowe’s upcoming Christmas historical, Plaid Tidings, ARCS of Lila DiPasqua’s upcoming historical romance, The Duke’s Match Girl, and lots more! Grand Prize Gift Basket: includes a $25 Amazon gift card; reader’s choice of a print or digital copy of Lethal Confessions; an ARC of my upcoming historical romance, Secrets for Seducing a Royal Bodyguard; copies of my last two books, My Favorite Countess & His Mistletoe Bride; a beautiful box of Godiva chocolates. Again, to RSVP visit my facebook page and sign up! Thank you! Guest Author – Jennifer Stevenson & Giveaway! !